The OpenDataNI Challenge for Education was launched in June 2016, challenging participants to use data from the Northern Ireland’s public sector open data portal OpenDataNI, in order to create new and innovative teaching resources suitable for either primary or secondary level schools. By the competition’s closing date, fifteen highly innovative entries had been received; from which six were selected, each awarded £2,500 in order to develop a prototype. – by Fabian Campbell-West of Maverick Inc.
A game aimed at promoting reasoning, numerical analysis and decision making, with the goal of boosting students' confidence in science, technology and mathematics (STEM) areas. The game puts the player in the role of a decision maker within Northern Ireland geography, using real open data sets. The scenarios require decision making around multiple factors rather than purely profit, for example, to maximise the gender-neutral appeal. – by Lorraine Barry of Queen’s University, Belfast. A web map-based learning resource which focuses on five key eco-themes: waste and pollution; biodiversity; healthy living, sustainable travel and climate change. The aim of the resource is to foster family and community environmental awareness whilst linking to Eco Schools NI and curriculum subjects of science, geography, mathematics and personal development. The resource would be specifically designed for key stage 2 and 3 featuring an intuitive design with user friendly layout and icons. "The Open Data Challenge provided an amazing opportunity to explore the wide range of open spatial data which is available, to develop an open source app to visualise and connect open data linked to the environment and biodiversity, and then gave the opportunity to present to IT industry and education experts on the potential of open data and mapping for teaching and learning." – by Martin Naughton of Mntech. A visualisation tool highlighting how everyday waste is transported, treated and recycled, using local data in order to encourage reduction of waste. The Schools will be able to enter their waste statistics and compare them to other schools in the area, creating a competition between schools to recycle more than their neighbouring schools. – by John Hewitt of Geolytical. This teaching resource will bring students on an interactive journey beginning with the links between social issues and food poverty and finishing with the benefits of good nutrition. It will focus on connective learning, developing skills and personal capabilities such as managing information, working with others, thinking and problem solving, self-management and being creative through the practical use of software applications. It will be an immersive interactive multi-media learning resource, and will focus on students at Key Stage 4 and be aligned with the CCEA curriculum for Nutrition and Food, Health and Social Care and Home Economics at GCE and GCSE. Stage 2 of the competition saw two of those six entries selected for further development into a classroom-ready teaching resource, each securing a £20,000 award in order to complete their project’s development. These two resources are available for use in Northern Ireland’s schools for a minimum of three years. The two winning entries (Our Raging Planet and Gaff) were unveiled to an audience of over 400 school students at the annual BelTech conference’s Education Day, held in April at the Titanic Building, Belfast. Our Raging Planet – created by Phil Weir of Flax & Teal Limited. 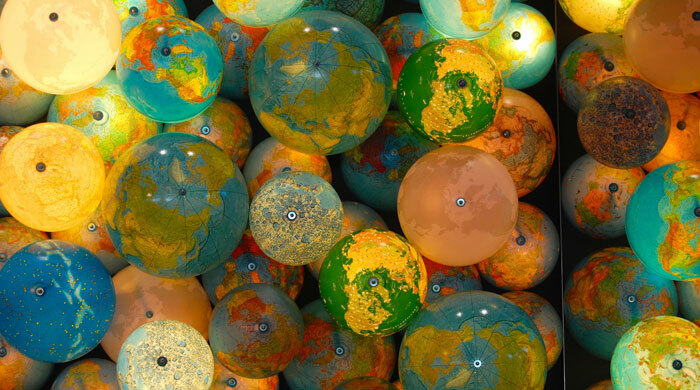 Our Raging Planet project is aimed at geography students from 11 to 16 years. It is a human impact education tool that allows students to view basic simulations of natural geographic disasters that happen in other parts of the world in their local area, by using public sector open data to estimate the impact on familiar local landmarks such as playing pitches and schools. The simulation of earthquakes, storm surges and volcanoes in a local environment which the pupils are familiar with can assist teachers in demonstrating the implications of natural disasters through local services and surroundings. Phil has written an article about his experiences from the challenge, you can read it here http://phil.flaxandteal.co.uk/?p=495. Gaff – created by Rose Kane Quinn of Neueda. 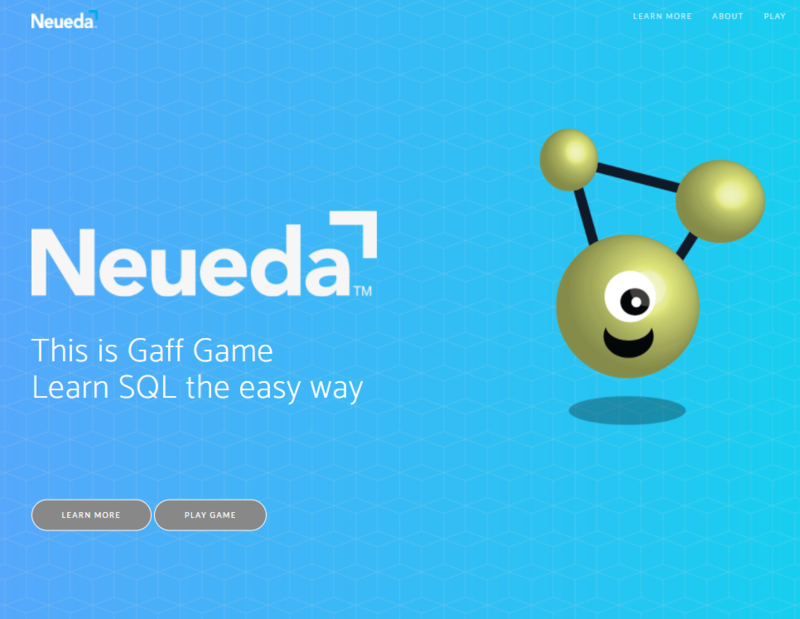 Gaff Game is an engaging, fun application that teaches students to learn a programming language - SQL (Structured Query Language) - in a real-life context using datasets from OpenDataNI. The game challenges users to find the best place to live in Belfast using the location of playgrounds and schools, as well as crime data. It employs gamification techniques such as repetition, achievement and ease of use to help users learn in a fun and innovative way. It is closely aligned to the learning outcomes of the Council for the Curriculum, Examinations and Assessment (CCEA) Software Systems Development A-level. You can read more about Gaff here http://www.gaffgame.co/index.html. Following on from the success of the challenge, both Neueda and Flax & Teal are planning to develop their teaching resources into commercial products to sell to other areas. The open data challenge was jointly funded by the Department of Finance and the Department for the Economy on behalf of the NI Digital Catapult. The project was also supported by Catalyst Inc, ODI Belfast, CCEA, Wallace High School and Ulster University. The OpenDataNI team have had a great time running the challenge and we hope you agree that it was extremely successful, with locally developed teaching resources being created using local open data. To keep up with all the OpenDataNI news, (including any future competitions or challenges), follow us on Twitter @OpenDataNI. OpenDataNI Make-it Challenge Winners - The Grand Unveiling!